Kelly Fahey, your local DogSmith of Hunterdon, loves dogs. But more importantly she loves helping dogs ‘become family’ by showing them how to be the best human companions possible sharing our hectic, over-scheduled lives. 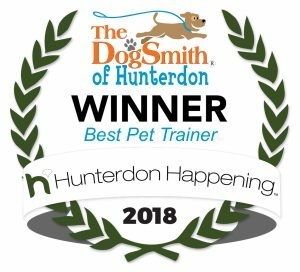 A native of Hunterdon County, NJ, Kelly is a Level 2 Pat Miller Certified Trainer (Pat is one of the most respected ‘positive’ dog trainers in North America) and the proud pet-parent of many rescue dogs. In her youth, Kelly’s love of animals was obvious as an exceptionally active member of her local 4-H Club, where she raised a wide variety of farm and domestic animals. This lifelong passion inspired her, as an adult, to become certified by dog*tec’s Dog Walking Academy leading her to create “Release the Hounds”, her professional, all positive, dog walking service. Always striving to provide the absolute best in quality and service to her pet-owning client-family and committed to her own continuing education in canine behavior, Kelly went on to study at Pat Miller’s intensive, internationally acclaimed, Trainer Academies. There, Kelly studied practical skills, animal husbandry and behavior modification which earned her a Level 1 Trainer Certification. This, in addition to her pet first aid/CPR qualification, provides you with the most capable and trustworthy care-giver for your beloved pets. Not resting on her laurels, Kelly continued her studies by completing an Aggression Internship, which earned her a Level 2 Trainer Certification. Kelly continues to grow her business and service offerings while providing exceptional personalized customer service and is now the owner of The DogSmith of Hunterdon, providing unrivaled pet care and dog training. With her commitment to her professional development and love of animals, who better to entrust your precious pets to? Kelly believes that training should be fun for you and your dog and all pet care should be happy and stress-free. Research shows that the most effective way to motivate dogs to learn is with natural rewards such as food, toys and praise. So it makes sense that Kelly uses only force-free, humane methods while caring for your furry family members and in her dog training programs. Her training is not only incredibly effective but helps promote trust between you and your dog, creating a healthy, indestructible bond. 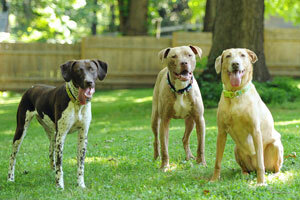 This results in happy dog guardians and well-behaved members of your family. Being a pet-parent herself, Kelly knows how hard it can be for you to leave your precious, furry family members in the care of someone else. You can rest assured, Kelly provides you with the ultimate peace-of-mind with your pet’s safety, health and happiness her foremost objective. You have enough to worry about whether on vacation, business travel or managing your busy family. You shouldn’t have to worry about your pets. And with Kelly you simply don’t have to. She will ease your concerns, and your pet’s stress, by caring for your pets in your own home with minimal disruption to their schedule. Your pets will receive the same love, attention and care Kelly provides her own fur-kids and she always ensures they get the right diet with ample exercise through playtime and walks. Call Kelly today and find out how stress-free pet ownership should be!